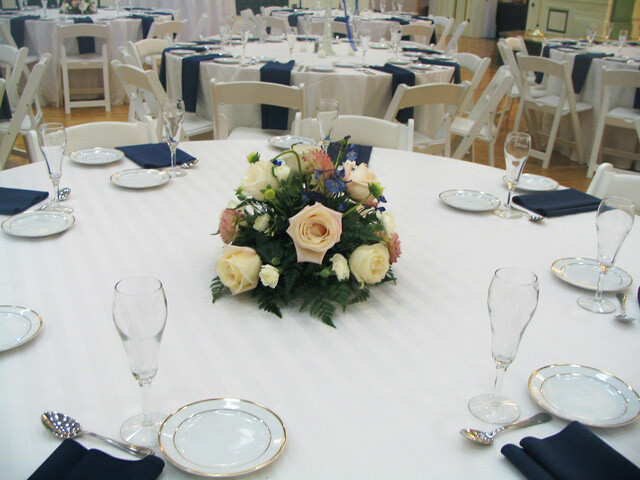 Stunning Victorian theme centerpiece at Phipps Conservatory with open pink and ivory roses, hydrangea and pink miniature carnations. 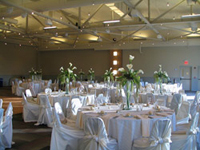 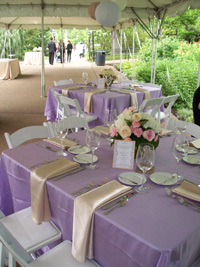 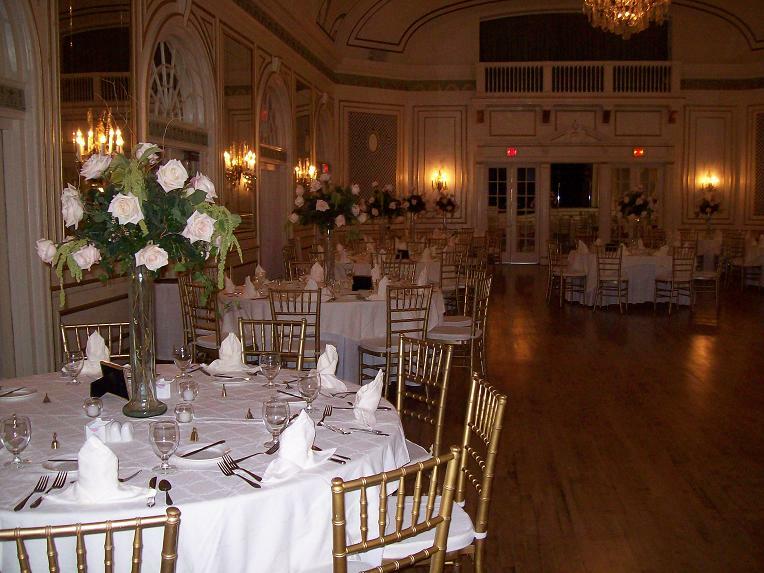 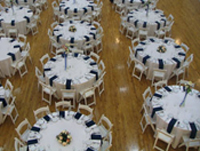 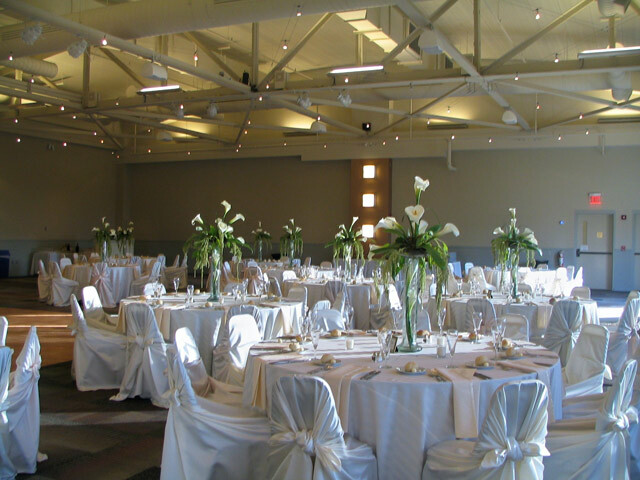 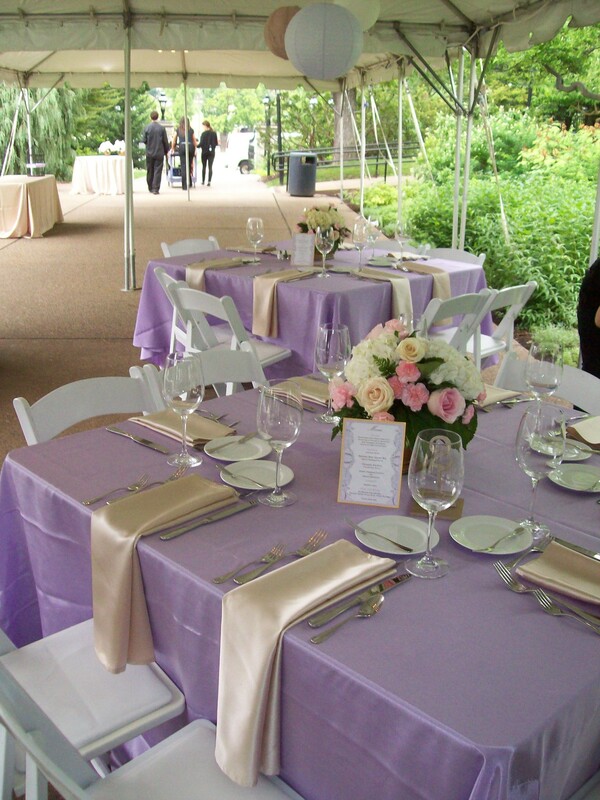 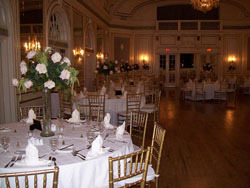 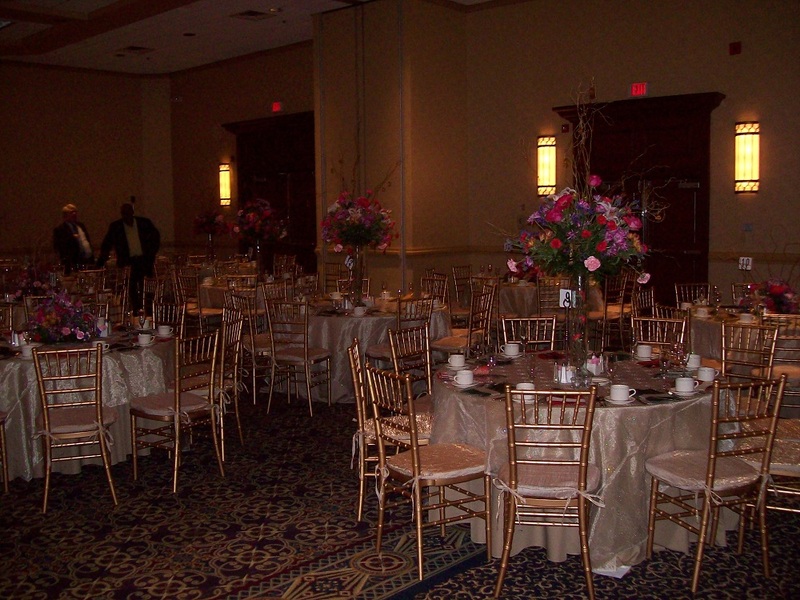 Soldiers and Sailors Banquet Hall overview with Elevated Eiffel Towers and all around centerpieces. 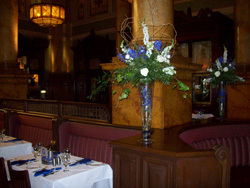 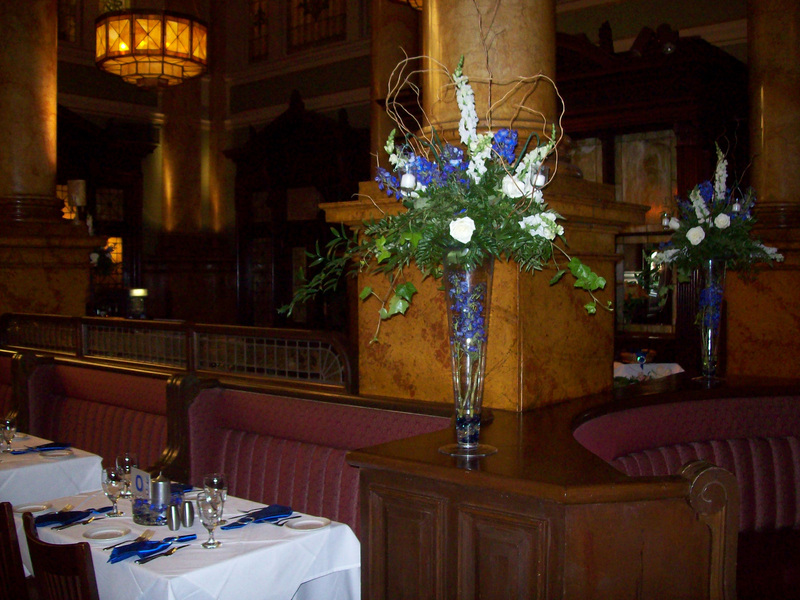 Stunning elevated arrangements with hanging candles and floating florals with candles in background at Grand Concourse. 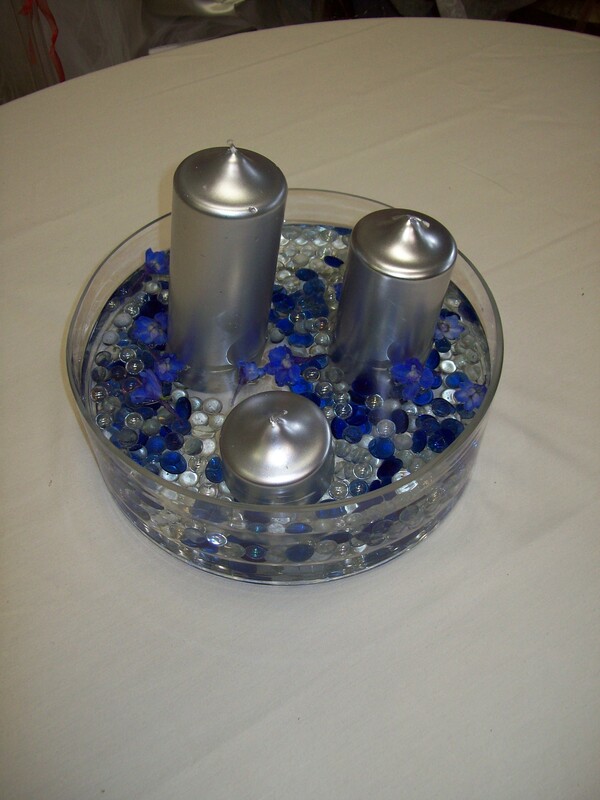 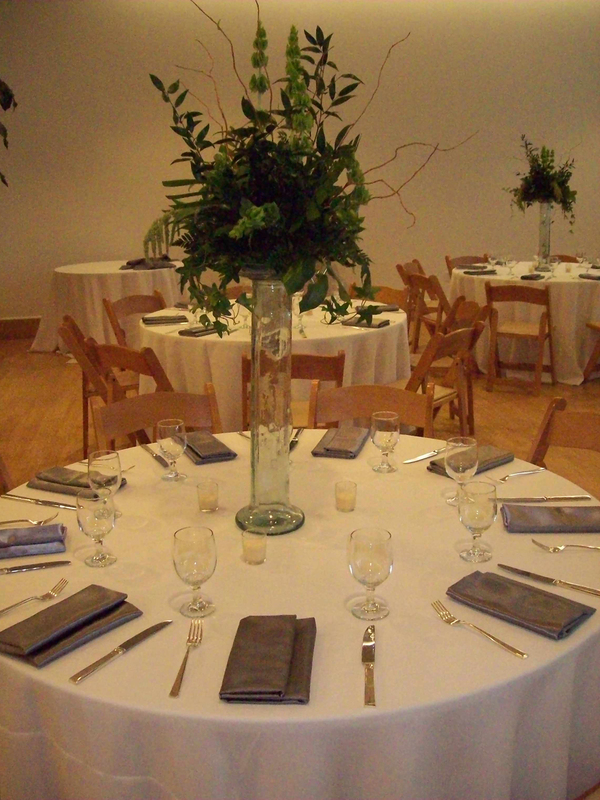 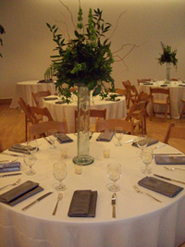 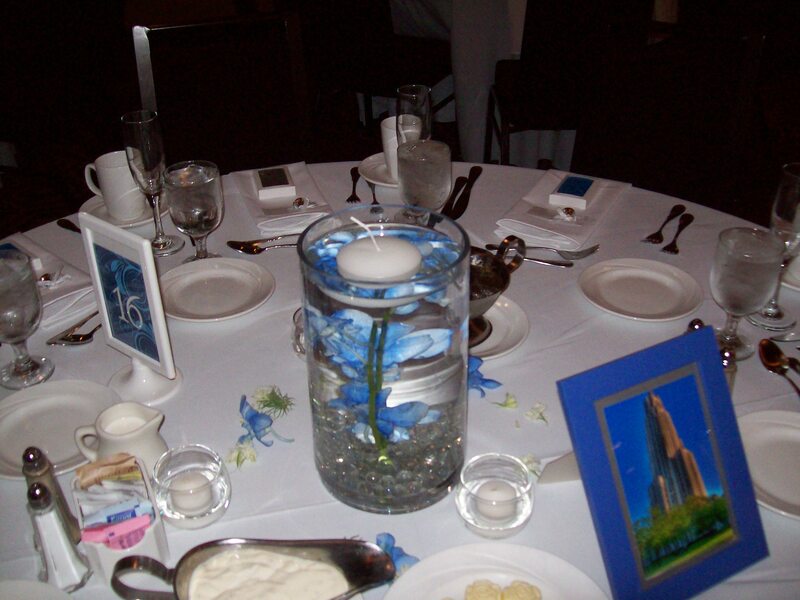 Simple elegant floating/candle display at Inn on Negley. 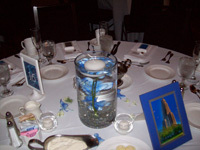 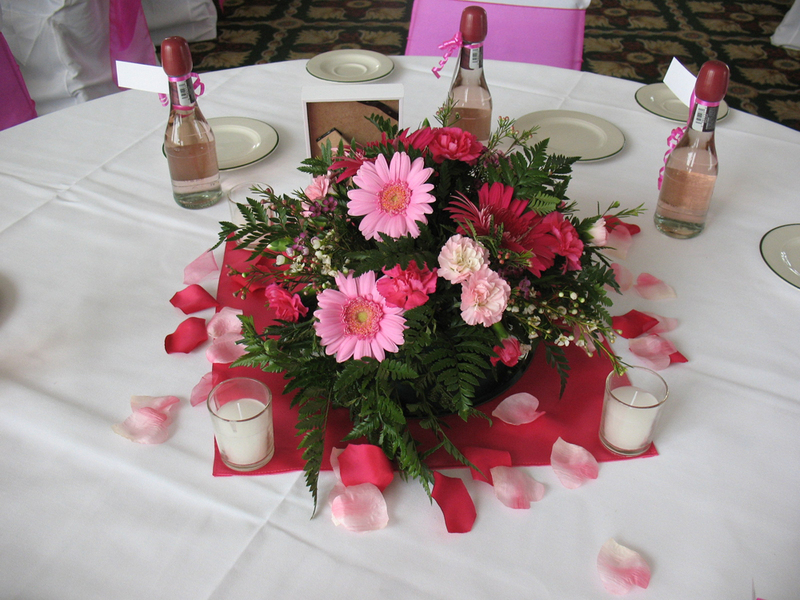 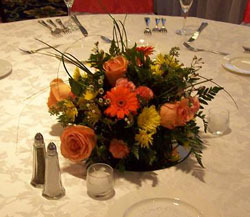 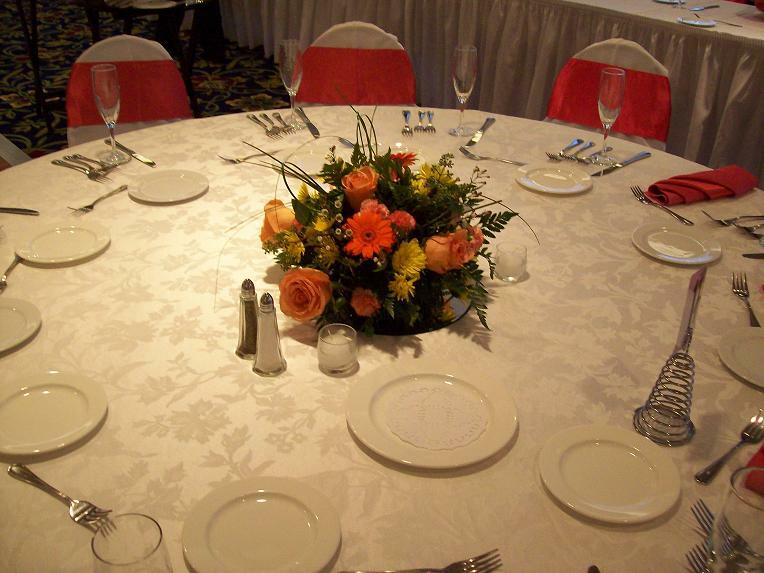 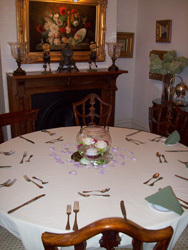 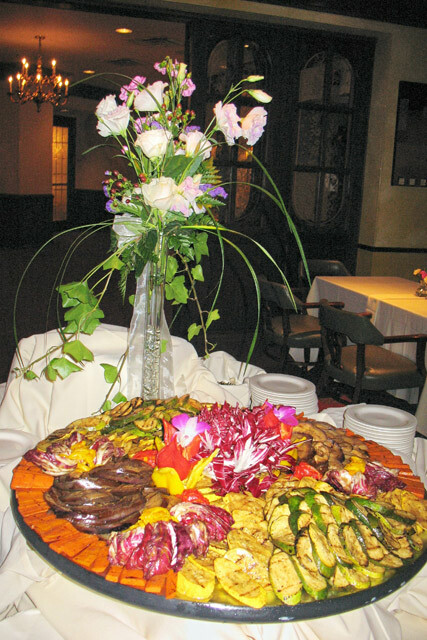 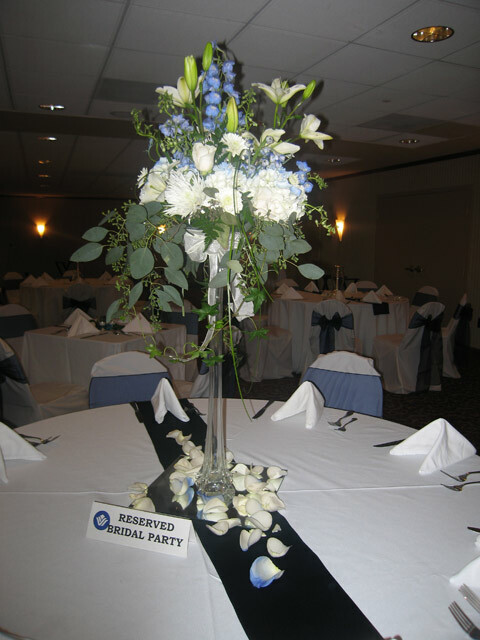 All Around Center Piece In Pink With Gerber Daisies, Mini Carnartions, Wax Flowers Accented In Rose Petals. 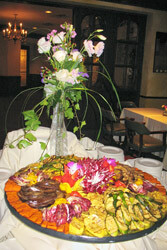 Eiffel Tower (rental) with assortment for cocktail hour. 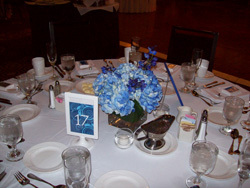 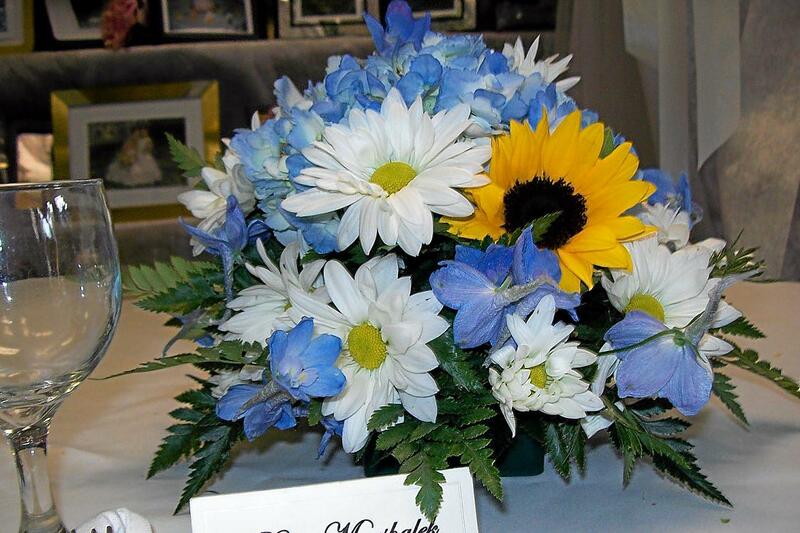 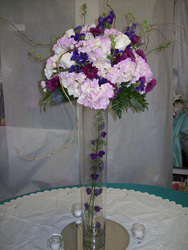 All around arrangement with champagne roses, blue delphinium, miniature carnations, rununculus and greens. 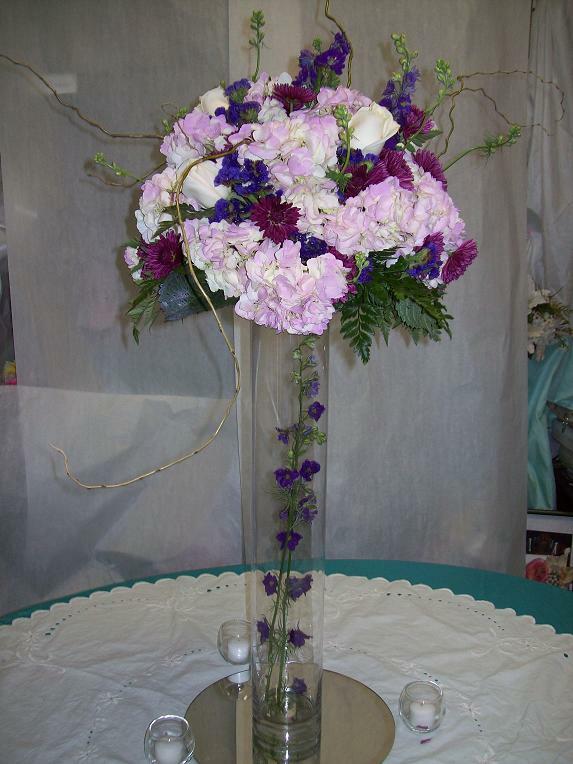 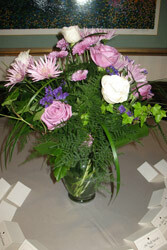 Carnegie Hall Foyer, Glass vase with lavender and vendella cream roses, lavender mums, lily grass, ivy and pleumosa.